In the 45 years that Marco has been in business, there has been no greater indicator of success than employee happiness. Our employees are what make Marco the company it is today. They are the ones helping customers, building relationships with vendors and supporting our communities. Without our employees, there’s no way Marco would be able to grow, scale and accomplish everything we currently do. When I think about why we emphasize employee recognition at Marco, it always comes back to our culture. Recognizing individuals and teams for going above and beyond has been a part of our culture for so long that it just seems normal. And to us, it is normal and very important. Here’s a look at a few of the ways we approach employee recognition at Marco. 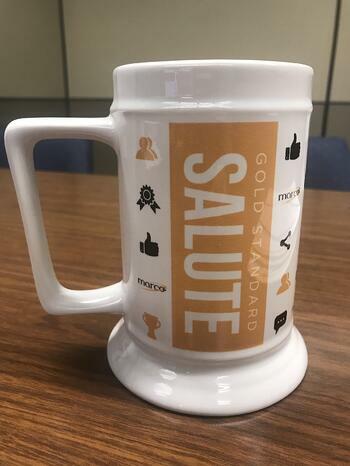 The Gold Standard Salute is a quarterly award, and the winners are nominated by their peers. Making a nomination is as simple as naming a co-worker, sharing why you’re nominating them and providing your name. All nominations are sent to Marco’s leadership team, and each nominee is notified – and so is their manager. Managers have the opportunity to provide additional comments on why a nominee deserves to win. Then the leadership team meets to discuss nominations and select ten winners. Once the winners are selected, our CEO Jeff Gau announces the winners as part of his quarterly company-wide video update. Each winner receives a $250 gift card and a Gold Standard Salute mug. They also have their picture digitally displayed at our locations. 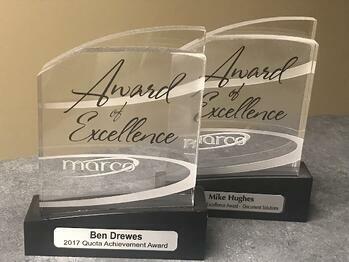 Our annual sales quota has been a part of Marco’s culture for over 40 years, and each year it’s a demonstration of our commitment to being sales-focused and keeping score of our efforts. 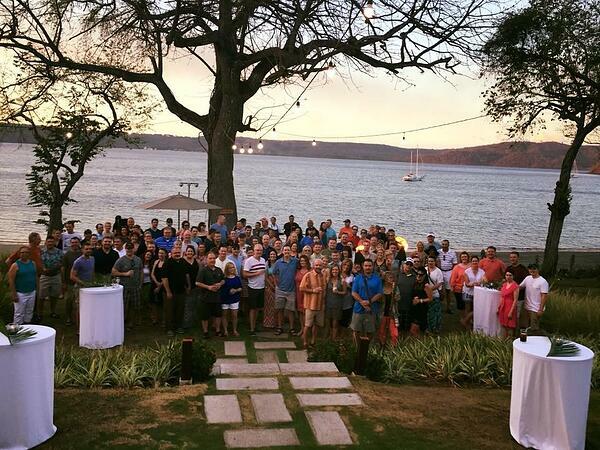 On average, about 20 percent of our salespeople earn the trip, along with their guest and Marco's leadership team. In the early years, that was about 15 people. For 2018’s trip to Montego Bay, Jamaica, the total was about 100. Each of Marco’s 270 salespeople has an individualized quota based on a combination of unique factors. In this way, the trip is accessible to salespeople within all markets, divisions and levels of experience. PAT (Peer Appreciation and Thanks) Day is a way for Marco employees to thank the people they work with while supporting the United Way. A PAT is a message of appreciation and thanks meant for one individual. Employees can give out as many PATs as they want to as many co-workers as they choose. The cost of each PAT is one dollar, and that dollar becomes a direct donation to the United Way. When an employee donates, they also receive a small treat like a granola bar, gum or candy. 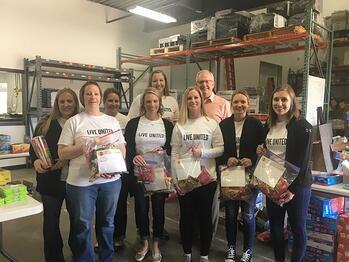 For 2018’s PAT Day, Marco employees raised $6,000 for the United Way. The Service Excellence Awards are for our service technicians. As a professional service organization, we have around 750 service technicians, and it’s important that these individuals receive recognition for the important work they do. The Service Excellence Awards take place on an annual basis, and nominees are divided into their respective divisions (IT solutions, copier solutions, client onboarding, etc.). Nominees are voted on by the sales reps and technicians they work with, and the winners are awarded a weekend resort trip. Typical destinations for the trip are local getaways like Grandview Lodge and Breezy Point. During the weekend, all the service techs mingle and hangout out with each other in a fun, casual environment. Because service technicians spend most of their time on the road and don’t get the opportunity to be around each other like employees within other departments do, the Service Excellence Awards trip provides a great opportunity for them to spend time together. You might be thinking that the activities and events I outlined above have employee appreciation covered, but there’s more. Employee recognition is a cornerstone of Marco’s culture, and it’s extremely important to us. Members of the leadership team, department heads and managers have their own ways of recognizing employees. For example, Marco COO Jonathan Warrey leaves congratulatory voicemails recognizing sales and support employees on client wins. Individual departments will organize potlucks to celebrate an event or the completion of a project. And managers will take the time to write congratulatory notes to appreciate their employees. One thing I’ve learned is that employee recognition doesn’t have to look or be a certain way. It can be as simple as a note, an email, a voicemail or a small token of appreciation. It doesn’t have to be anything big to let someone know you appreciate them and their work. We support employee recognition in all shapes and sizes. Marco’s great leadership has done (and continues to do) a fantastic job of setting the tone for recognizing individual employees and have made it a part of our culture.